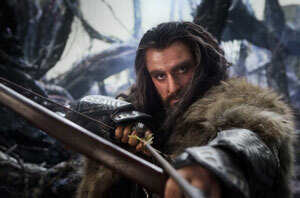 Let's be honest, I wasn't much looking forward to The Hobbit: An Unexpected Journey. I loved the Lord of the Rings films, but when I saw the trailer for the first of three lengthy 'prequels', I couldn't help feeling, heart sinking a little, 'Here we go again…' Same music, same cast, same font, even; same old endless trudging through the mountains. Been there, done that, bought the extended DVDs. And then there were the reviews, damning it as overlong, boring, pompous, confusing. Even more walking, but this time with singing. Was this going to be The Phantom Menace to The Fellowship of the Ring's A New Hope? As Scots dwarves Balin and Dwalin might say (were the film not a slightly stretched 12A certificate) 'Away and shite.' 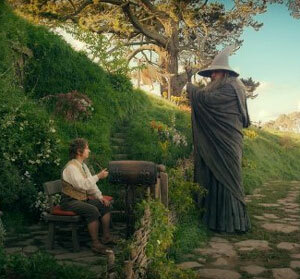 From start to finish, The Hobbit is in turns delightful, comic, captivating, exciting, beautiful and moving. After a discursive introduction to dwarvish history (and our first glimpse of this series' Viggo, our very own Brit hunky hero Richard Armitage, playing Thorin Oakenshield) we're back in familiar territory in the pretty green gardens of the Shire and the roundy Hobbit hole of one Bilbo Baggins, a good few decades younger than last we saw him and now played, with his usual mix of appealing everyman bemused honesty, by Martin Freeman. When visiting wizard Gandalf the Grey (Sir Ian McKellan) invites him to partake of an adventure, Bilbo is having none of it. 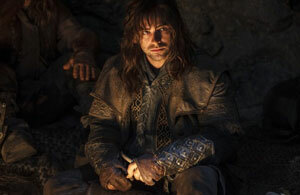 And when he finds his home invaded by thirteen boisterous dwarves (distinguished by Ken Stott's Santa-bearded Balin, James Nesbitt's bewhiskered Bofur and Middle Earth's latest top totty, Aidan Turner as Kili) he sees no reason to change his mind. Until the next day, when he packs a bag and sets out on an Unexpected Journey. And so begins an epic trek through some of New Zealand's most jaw-droppingly awesome scenery and the art department's most lavishly imaginative CGI fantasy domains (including an underground goblin kingdom ruled by Barry Humphreys - the Muppets do Indiana Jones springs to mind). As usual, the CGI is flawless, rendered in hyper-real digital clarity that seamlessly blends the real with the fantastic, including, of course, that tricksy little monster Gollum (Andy Serkis). 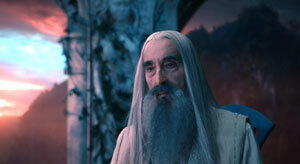 Sure, there are rather more battle scenes than strictly necessary, and quite a lot of Tolkeiny backstory shoehorned in (along with several familiar faces from the Lord of the Rings movies, including the ever marvellous Christopher Lee, whose pre-crazy Saruman comes across like the boring chairman of a neighbourhood watch meeting that nobody can shut up). But in a cinematic landscape in which everything ends in an epic clash of forces, from Alice in Wonderland to Snow White (can't wait for the fight at the end of Great Expectations) why the hell not? The tone is perhaps a little uneven, ranging from Pythonesque wackiness (mostly courtesy of Sylvester McCoy's eco-wizard Radagast the Brown) to quasi-horror to manly bromance emotion; some of the detail is strictly for the JRRT geeks and, yes, it's very long and it would've been really nice to get a cup of tea halfway through. But in a nutshell, if you loved Lord of the Rings, you'll love the fourth in the trilogy, because it's very much more of the same. With singing.